This is a recipe for the best dinner I’ve ever made (according to Colby). I think you’ll love it too! 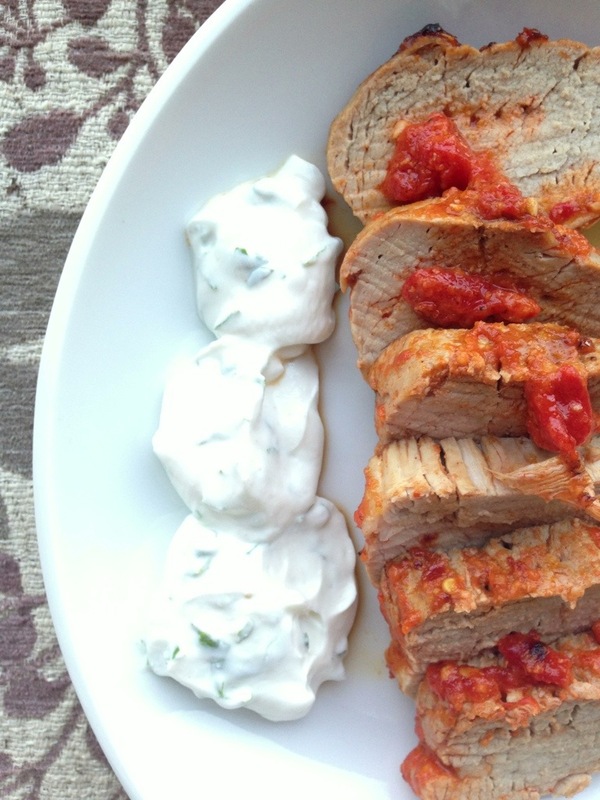 The idea for juicy African pork tenderloin with Harissa sauce came from an issue of Cooking Light magazine a few years back. 1. Preheat oven to 400 degrees. In a food processor, pulse together roasted bell pepper, garlic, 2 tbs olive oil, 2 tbs lemon juice, 1 tsp cumin, 1/4 tsp salt, and sambal olek to make Harissa sauce. Place in a large bowl. 2. Heat 1 tbs olive oil in a skillet. Sear the pork tenderloin on all sides. 3. 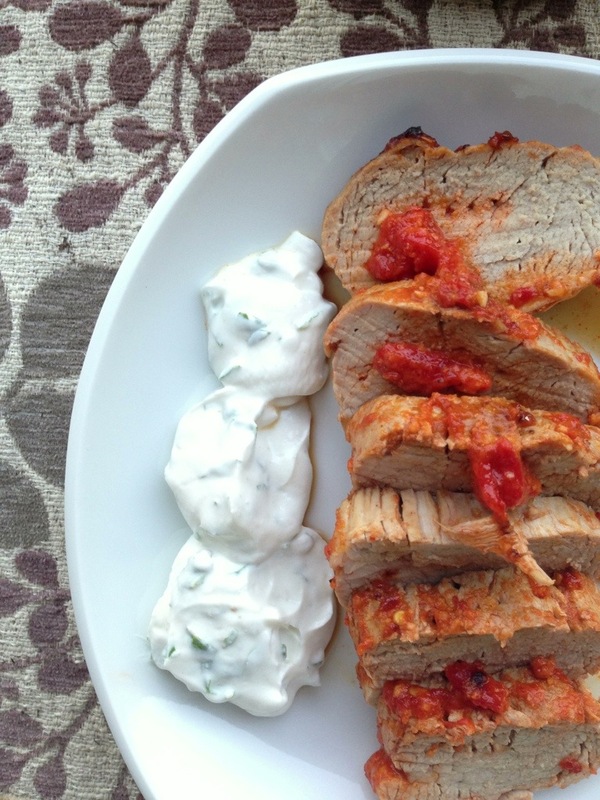 Place the pork in the bowl of Harissa sauce and coat well. 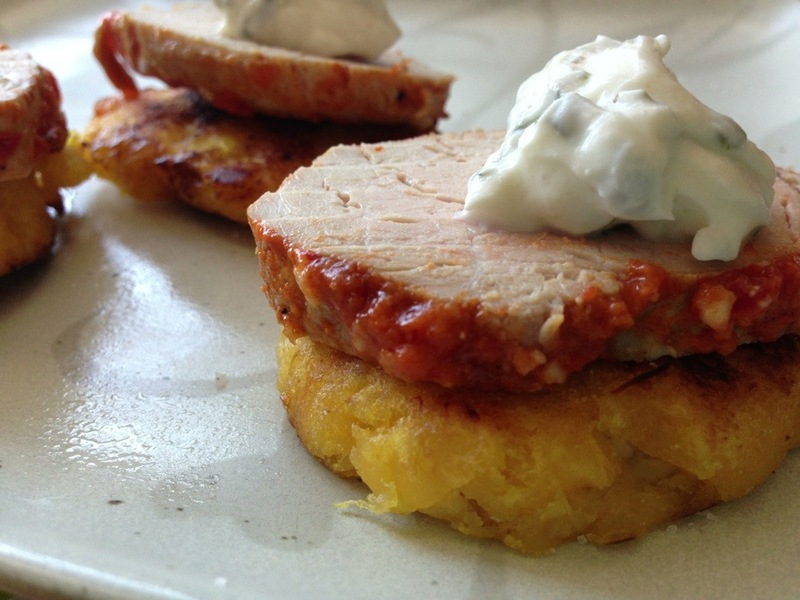 Transfer the pork to a baking sheet lined with aluminum foil. Pour the remaining sauce on top. Bake for 10-12 minutes or until the internal temperature reaches 145 degrees (medium) or 165 degrees (well done). 4. To make the mint sauce, combine yogurt, chopped mint, 1 tbs lemon juice, 1 tsp cumin, and 1/2 tsp salt.